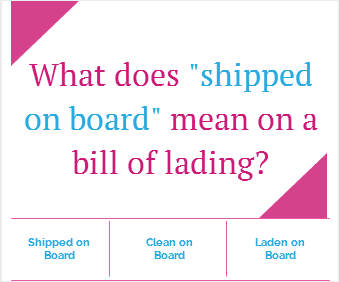 What does shipped on board mean on a bill of lading? Bill of lading is a traditional transport document, which has been issued by the carriers for sea shipments that has been taken place between one sea port to another. Historically, there are two main types of bills of lading available on the market in terms of scope of issuance. Today I would like to explain the meaning and function of an on board bill of lading and received for shipment bill of lading. Received for Shipment Bills of Lading: If the carrier, agent of the carrier or master issues a bill of lading, on demand of the shipper after the goods have been received into carrier's or master's charge, this type of bill of lading is called as a received for shipment bill of lading. Long before the containerization period, during the middle of the 19th century, US shipowners had been issuing bills of lading once the goods have been received by them. The shipment was effected with the intended vessel according to the declared sailing schedule. But this practice has some disadvantages. 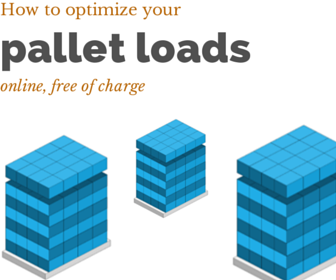 Sometimes the goods that are supposed to be loaded according to received for shipment bill of lading to an intended vessel would have never shipped and the contents of the bill of lading were misleading. After some serious disagreements occurred between exporters, importers and the shipowners due to the insufficiency of the received for shipment bills of lading, shipping industry created a new bill of lading issuance standard, which is known as shipped on board bill of lading. Shipped on Board Bills of Lading: Carriers or their agents started to add an "on board notation" to the "received for shipment" bills of lading after the goods had been loaded on board a named vessel, whether it was originally indicated on the bill of lading as an intended vessel or not. On board notation should be created at the port of loading by the carrier, agent of the carrier or the master and should indicate the name of the vessel upon which the goods have been shipped and the date or dates of shipment. Shipped on board bills of lading give greater security to the importers and importers' banks, this is an important point of consideration if the payment type is letter of credit, as shipped on board bills of lading could only be issued after the goods are loaded on board to a named vessel. Today, almost all bills of lading are issued with an on board notation, as a result majority of current bills of lading that are issued for international sea freight transportation, can be classified as "Shipped on Board Bills of Lading". Note: Shipped on board, clean on board, laden on board have the same meaning according to letter of credit rules.